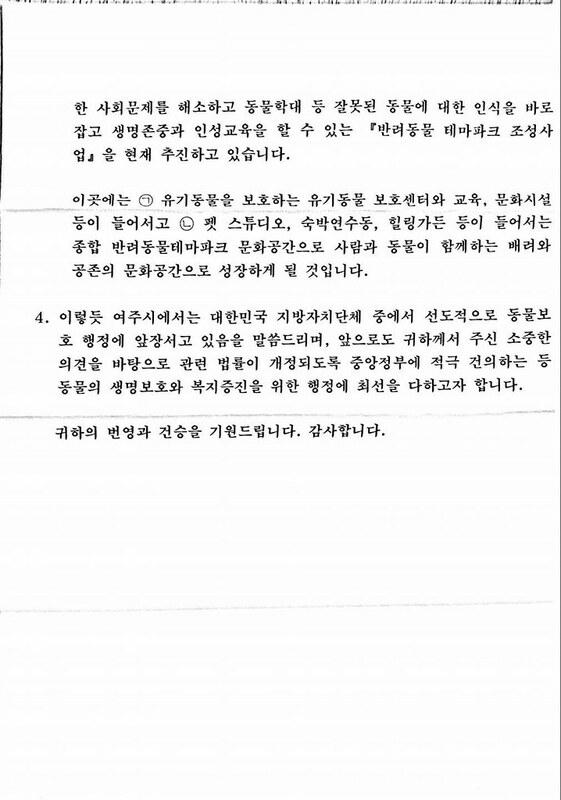 Home / Blog / [Campaign update] Yeoju responds. 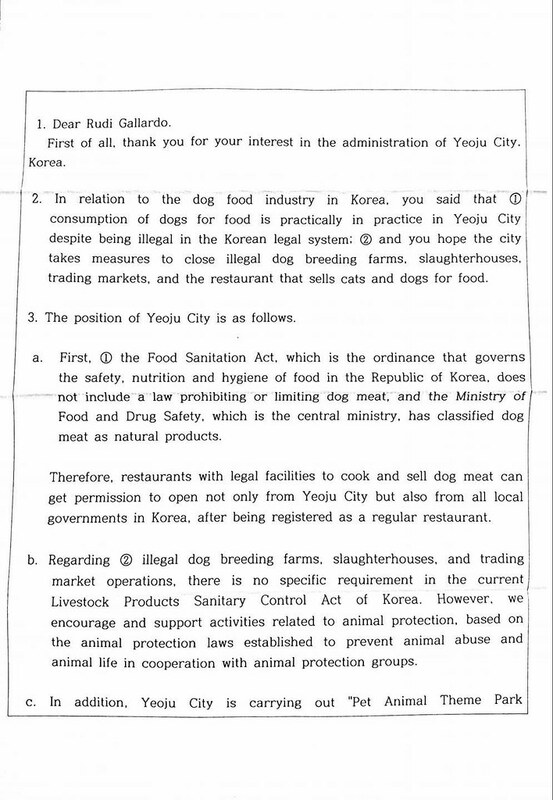 We have received a response from the city of Yeoju dated May 10, 2017, regarding our Sister City Campaign with the Yeoju, South Korea, and Niles, Illinois. 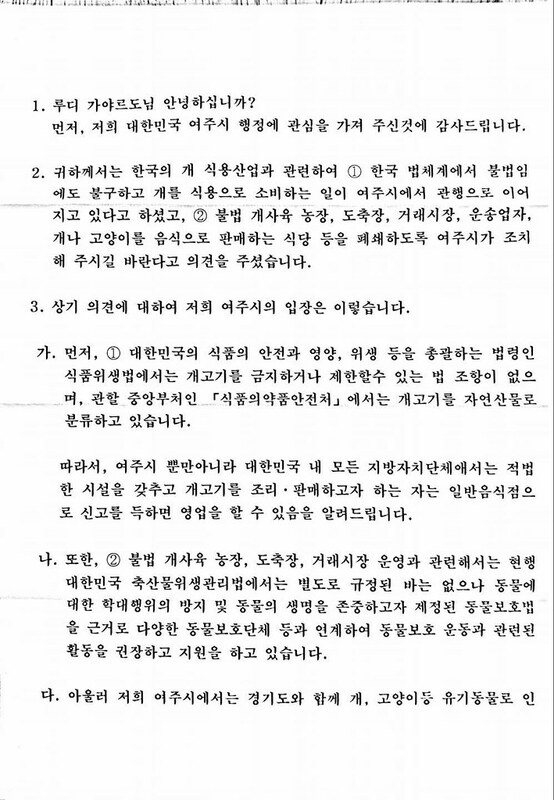 This is the typical shameful response that we have come to expect from the South Korean Government: disingenuous and full of excuses. 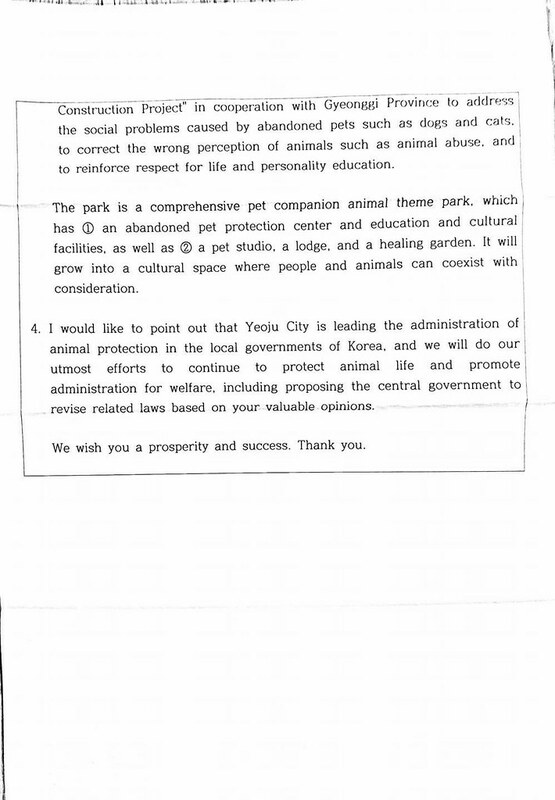 However, they have now been warned that our eyes are on Yeoju and we will continue to campaign against their indifference and cruelty towards defenseless companion animals. 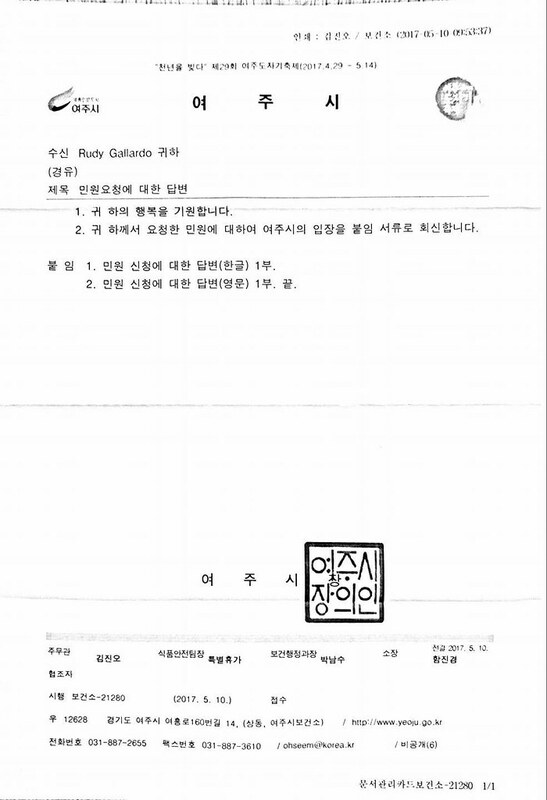 We are grateful to all of you who have taken action and also to Rudy Gallardo for sharing this letter. This cruelty to helpless animals must stop. You must do something to end this inhumanity! Dogs are not natural food . This is inhuman and in doing this YOU are inhuman.